Shut it down. The Burger Blog – shut it down. I have found a winner. That’s right, I ate the best burger of my life – a burger so perfect I’m not sure I’ll ever eat another that comes close to it. I may never even eat another cheeseburger. 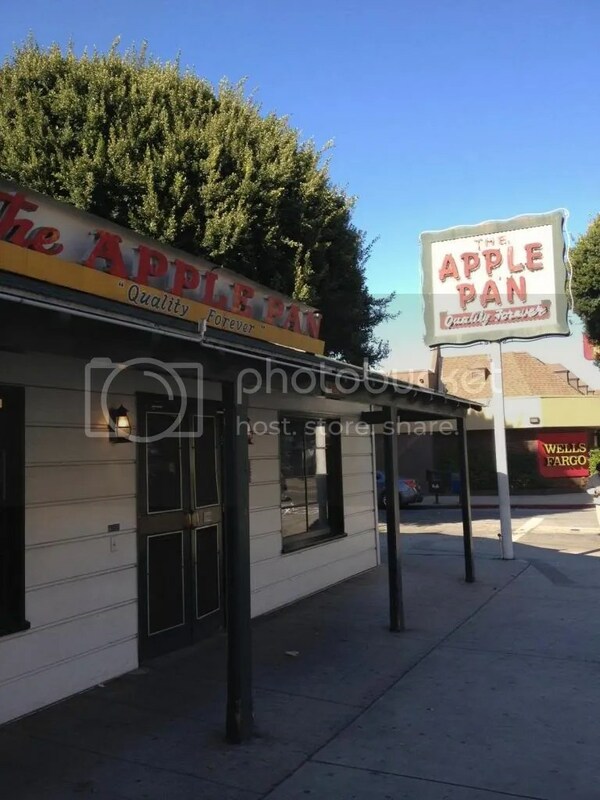 The Apple Pan is located in West Los Angeles, CA. 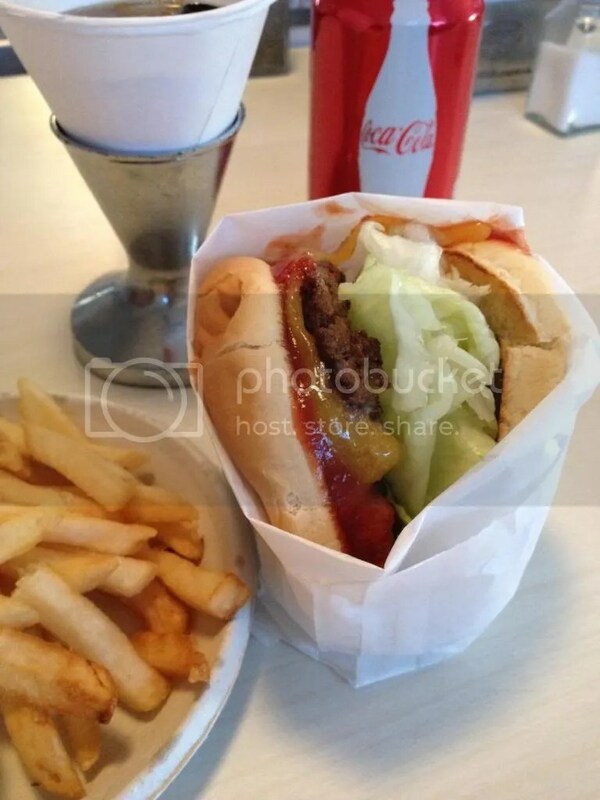 In 2012, National Geographic named the Apple Pan the best burger in the United States. Still, I was hesitant. It’s not a Rainforest or Stonehenge; what does National Geographic know about burgers? Also, the list itself was not without flaw. I mean, In-n-Out at #2? Really? But I had friend in town that I was eager to impress, so I guided us to the Apple Pan and wished for the best. As I was handed my burger, I realized my wish had come true. But let’s take it back in time, because it wasn’t just the burger I fell in love with. A step into the Apple Pan is effectively a step into the 1950’s. We were greeted with a U-shaped counter circling the grill, older gentlemen in paper hats and pristine white aprons manning the kitchen, and register so old it could not process credit. Not to mention the overpowering, heavenly burger-smell. It was all very nostalgia inducing, and I wasn’t even around for the fifties. 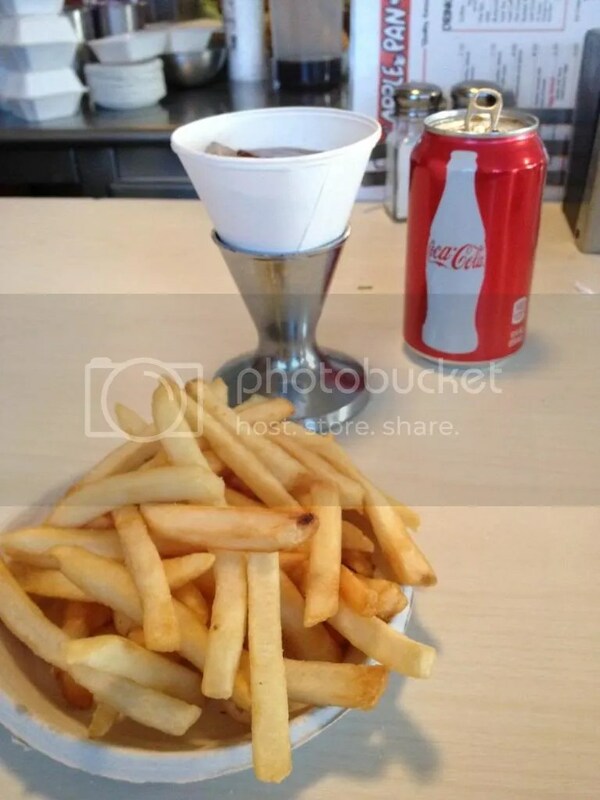 In keeping with the old-timey feel, I was served my soda in a can, with the option to pour it into an ice-filled paper cone, which in turn was nestled into a metal “drink-cone holder”. Efficient? Probably not, but it contributed to the feel in a very positive way. After the drink came the excellent, if typical, fries. They were served on an individual plate, with a second plate devoted solely to a large pool of ketchup, straight from the glass bottle. So many burger joints are so concerned with reinventing the wheel. They will drown everything in truffle oil, or serve their burgers with fig jam. While I like both of those things, there is something to be said about perfecting the classic. And if the Apple Pan has done anything, it is perfect the classic. My burger was simple. One patty, cheddar cheese, lettuce, pickles (lots of pickles), and Hickory Sauce. Hickory sauce is something like ketchup, but thicker, smokier, and more amazing. My only complaint? I wanted more burger. Call me The Problem With America, but I couldn’t get enough of this burger, and I wished it were bigger. I’d like to revisit one thing about this burger – the thing that made it so special. One of our rankings on Burger Diaries is called “Burger Flavor”. I realize now that I have been approaching this category haphazardly. If a patty tastes like meat, I’ll give it the benefit of the doubt and rank it highly on this regard. But no longer! What made the Apple Pan’s burger so special was the unique, meaty flavor of the patty. It wasn’t just a glob of meat, dressed with fancy toppings to take it over the edge. The meat was the star, as it should be with any truly great burger. So where should I go now, Los Angeles? Are there any burgers that can beat The Apple Pan? Let us know in the comments!